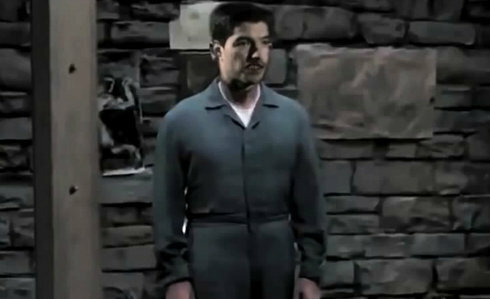 HOLLYWOOD – Although banned from all footballing activity new Barcelona signing Luis Suarez will be passing his time in a new vocation with a recurring role in NBC Original show Hannibal. Suarez will play a role as TV and film’s most famous cannibal Dr. Hannibal ‘the Cannibal’ Lecter, played by Mads Mikkelsen. This is not just stunt casting. I’ve been a huge fan of Luis Suarez since the Ajax days. And I watched him closely at Liverpool and his performances always led me to believe that he would be a superb actor, especially in the penalty area. We met by pure chance at a Will Ferrell party last year and I talked to him about taking on a cameo but he was reluctant because time was very tight, what with training and everything. The ban however has changed all that. Hannibal Season 3 will be broadcast in 2015.